Ever since SM Megamall became WiFi ready, a lot of laptop owners started to troop to the place to enjoy the free connection. But we all know that WiFi isn't the only thing you need if you want to be fully connected to the internet while at the mall. The place where you'll be staying should be laptop user friendly, that is, having free-to-use power outlets for its paying customers. Mind you, there are restaurants and cafes that charge by the hour for electricity use. The nerve of these establishments, 'no? I decided to make this list for your reference, just in case you'll be in SM Megamall and you need to use your laptop for hours more than your laptop battery can handle. Krispy Kreme, Ground Level, Bldg. B. Cheaper than staying in Starbucks or any other coffee shop up in The Atrium. Average spending will be around Php 150 bucks (around 3 USD) for a small cup of coffee and a donut. KK has its own unsecured WiFi connection aside from that of SM Megamall's so you have 2 options. There are three power outlets, one is behind the condiments counter, that you can use. That is, if you are lucky enough to find a seat near them. The place is cramped and can be too crowded during the weekend. It can be warm, too. I don't know why. Me thinks that hot ovens + cramped place + another door facing EDSA don't mix. So, I've two pieces of advice: be there early to secure a good and cool seat away from the door facing EDSA and just order iced coffee or a glass of their yummy chillers to keep you cool. I originally thought that Icebergs is just a dessert place but they serve main meals as well. We were there for a snack and my boys and I shared the Belgian Chocolate Fondue that was served with fresh fruits, whipped cream, a few pieces of cake, and ice cream. It was worth it at Php 378 (around 4 USD). There are three power outlets attached to the mirrored wall. The place is clean and the food is yummy. However, my WiFi connection that day was low at 5.5 to 18 Mbps which was strange considering that The Atrium is supposed to be the place with the best WiFi strength in the mall. 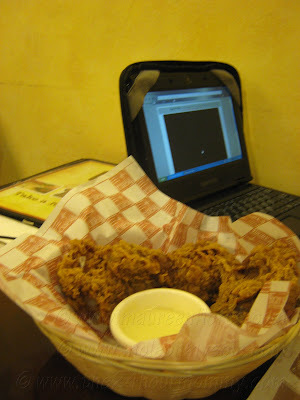 It was our first time to eat at Bigby's Cafe and, man, was I impressed! Think of an uber inexpensive version of TGI Fridays and you'll get what I mean. Take this, we had 3 orders of Seafood Chowder, 1 glass of bottomless iced tea, 1 chocolate shake, 1 glass of Four Season's, 1 plate of Rock-a-Bye-Baby Back Ribs, 1 plate of Uncle Sam's Roast Beef, and Chicken in a Basket all for Php 1,300! Everything, except the drinks, is good for sharing. 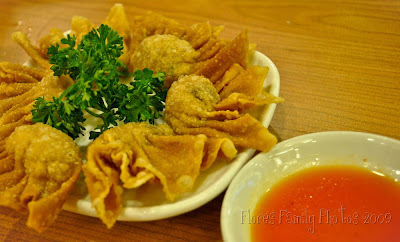 Yummy and affordable food, fun and accommodating staff, homey ambiance, and strong WiFi signal. Definitely, two thumbs up! The biggest surprise of them all was that Bigby's is 100% Filipino! I read that the cafe's original branch is in Cagayan de Oro City. Now, the power outlet I used that day was just a bonus. It so happened that we were able to find the spot near the service counter. Just ask for the same spot from their friendly service staff. 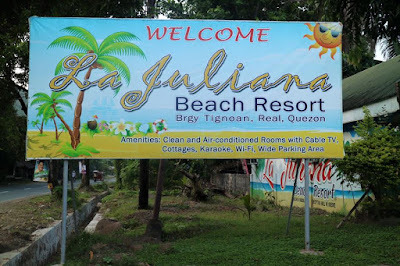 I was here yesterday to work on some online tasks that got piled up because of my mommy duties. Starbucks has power outlets conveniently placed either on the floor or on the dividers near each table. WiFi strength is excellent. I ordered a Toffee Nut Frappuccino which gave me my first sticker out of nine that I need to redeem the Starbucks 2010 planner come January. After a few sips, I realized that I should have ordered hot coffee instead because I was already shivering from the cold. I guess the A/Cs were on full blast inside Starbucks yesterday. 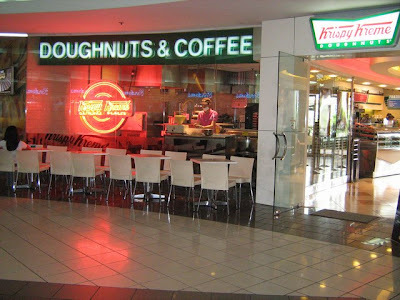 Oh, by the way, I hope the power outlets on the floor were recessed like the ones in Krispy Kreme Robinson's Galleria. Someone was stupid enough to not look at where she was walking on and stepped on my laptop plug and bended the metal ends! This is an accidental find during our celebration of my son's First Communion. My boy misses Superbowl's free kropeck so we headed to The Atrium. 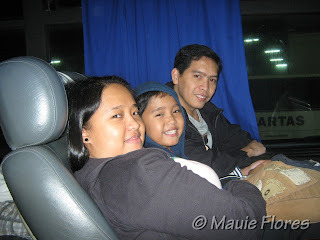 It was an early lunch for us so we were able to find a place in the cushioned long seats beside the walls. When I looked under the table, there it was, the electrical outlet! Wee, such a sweet surprise. WiFi strength is commendable, too. Pretty much like the signal strength in Starbucks. The food versus the price is another story. I find the food choices and servings lesser and the prices higher now compared to when we were still dining at the old Superbowl by the ground floor food strip. I'm going to update this list as I discover more and more of these laptop user friendly places. If you have tried other establishments that are worth adding to this list, just let me know by commenting to this post. 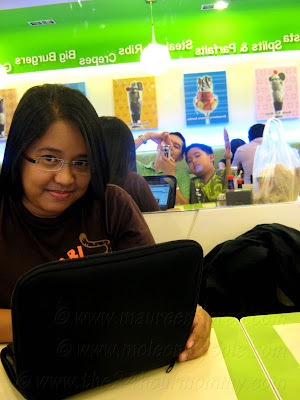 A good share Mommy Mauie :).. At least I know where to stay if I need to use my laptop in SM Megamall for longer hours.